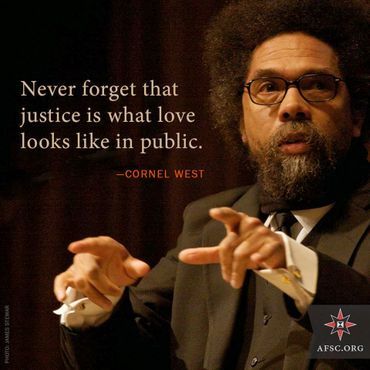 Justice begins not with an arrest but with a concentrated effort for education and child care in poor communities. These are the mothers that need some out side help to be able to work and feed their children. Americans have a laser like focus on the Afro-American communities and magnify any slight within the community as being criminal. Truancy is treated like a crime punishable by Juvenile detention, in some cases even Juvenile Jail. We begin with very young teens and condition them to a life plagued by jails and imprisonment. Does any one really wonder why there is a lack of trust? Thanks Dandelion. Suggestion: PBS - Frontline: Who is locked up in America? Ty Dandelion . . .
You cannot currently send a star to Kit because you have done so within the last hour. The U.S. has been systemically racist since it's founding. . .that doesn't auto-erase all merits and good encompassed in it's history. . .it does present a deep rooted systemic societal ill--a cancer-- that must be fully contemplated and recognized to be healed. this struggle will be fuel by the information era. the rich are forgetting the teaching of alexander pope, his ideas on the alimentary imperative should be gospel to them. and it isn't, food stamps are being cut, welfare programs canceled or made unattainable. justice is best served on a full stomach. in court studies in rulings just before lunchtime when the judges and juries are hungry the rulings are by a high percentage much harsher for the defendants than the rulings after lunch. hunger fuels anger, it fueled a revolution in 1917. if i was among the rich or a koch brother i would be pushing washington for more social programs.thomas piketty wrote a lot about this in his book that is sweeping across the world. I wish we lived in a nation where a real progressive like Dr. West could become President. Excellent quotes Elle. Spammer flagged. I'm glad you mentioned the Frontline program on PBS Kit; I had just watched it myself, well worth the viewing. I as well Brian. But he wasn't even asked to speak at the unveiling of Martin Luther King Jr's Statue. He joined a few others at the Poets Corner and did a speaking engagement which I had posted onto C2. Martin Luther King, Jr. would of warmly embraced his brother, Dr. West, but those in power right now, don't want that message that Dr. West would of given being heard by too many, therefore he was excluded. Ty once more Dandelion...Brian's comment is heartfelt as is your response. I don't believe in the American way but I do believe in the Scandinavian way of redistributing the Countries wealth allthough Denmark is falling a little bit away lately. Thanks for the post Sheryl. 'Direct slavery is just as much the pivot of bourgeois industry as machinery, credits, etc. Without slavery you have no cotton; without cotton you have no modern industry. It is slavery that has given the colonies their value; it is the colonies that have created world trade, and it is world trade that is the pre-condition of large-scale industry. Thus slavery is an economic category of the greatest importance..... Cause slavery to disappear and you will have wiped America off the map of nations." Karl Marx's letter to Pavel Vasilyevich Annenkov, December 28, 1846. Thank you BMutiny for both insights. Thanks Sheryl, that is a great talk. I love the part where Dr. West says "It's a joke," when replying to the statement about Obama being called a Marxist or socialist. This delusion about Obama speaks volumes about the ignorance in the US and the desire of many to cling to comforting fantasies instead of having even curiosity about the events harming their own lives. But there are enough who know what's going on and are willing to organize for change. Thanks Bryan for finding the time to watch, I always learn so much from Dr. West.